Twenty years ago, METabolic EXplorer had a vision of biological chemistry. 1996 -1999 : Benjamin Gonzalez obtains a PhD. in biotechnologies, working under the supervision of Michel Renaud, vice president of the Université d’Auvergne, with the aim of creating an industrial biotechnology company specialising in commodity chemicals. 1999 : METabolic EXplorer, a spin-off of the Université d’Auvergne, is co-founded by Benjamin Gonzalez, its current chairman. A transfer of technologies is followed by research on and the creation of bacterial metabolic pathways using bio-informatics for the production of chemical intermediaries by fermentation. The company receives an award in the first national competition for newly created innovative companies. 2000 : A technology portfolio is developed, and the first patents are filed..
2002 : In a successful first round of financing, €6 million is raised, strengthening the company's in-house research capacities. 2005 : A joint development and exclusive licensing agreement is signed with Roquette, European leader in the transformation of starches, for the production of L-Methionine, a sulphur amino acid essential in animal nutrition. In a second round of financing, €5 million is raised to build up the company's portfolio of processes. 2006 : METabolic EXplorer's technological advance is recognised through its participation alongside Roquette in the first European green chemistry programme, financed by the French Industrial Innovation Agency (A2i, which became Bpifrance): BioHub™, the development of agricultural resources using biotechnologies. 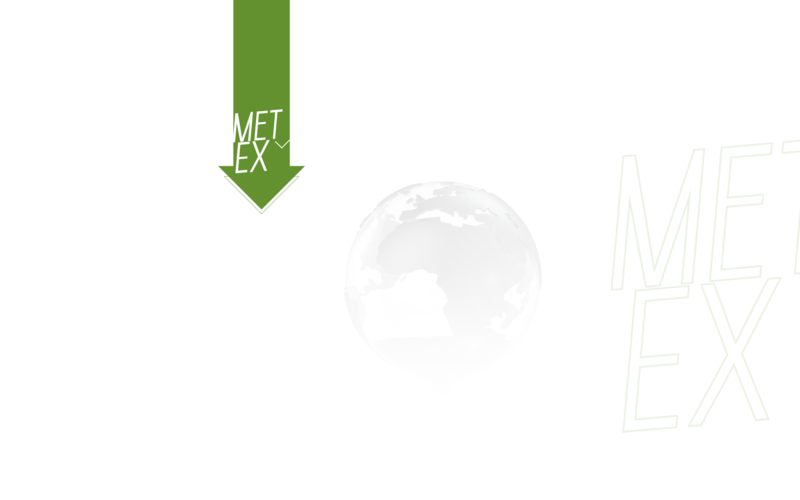 2007 : METabolic EXplorer is the first industrial biotech company listed on Euronext (Eurolist Compartment B). Its initial public offering is an enormous success, raising about €60 million and enabling the industrialisation of its technologies. In the first phase of investment, the company inaugurates its pre-pilot facility, created in the remarkably short span of eight months. 2008 : The product portfolio enters the pre-industrial phase..
2009 : In the second phase of investment, METEX begins operating an industrial pilot facility in which the fermentation and purification stages are continuously combined. 2010 : PDO enters the industrial pilot stage; the PDO process is validated on the pilot scale and the first samples are produced. 2010 : The creation of the first METEX PDO production unit, to be located in Malaysia, is announced. The Malaysian government provides active support and financial backing for the METEX facility at the new biotech excellence centre. 2011 : Sucrose-based MPG enters the industrial pilot stage. The engineering firm and local companies that will construct the PDO plant in Malaysia are chosen. 2012 : The PDO production process is optimised for the raw materials (second-generation glycerol). Construction of the PDO plant is postponed, and the contract between METEX and the developer building the facility is suspended for seven months. 2014 : The licensing agreement with Roquette for L-Methionine ends. METEX recovers all intellectual property rights for the L-Methionine technology and henceforth manages the development and industrialisation of totally bio-based L-Methionine. The plant construction project in Malaysia is called off, and an exclusive licensing agreement is signed with SK Chemicals, a leading South Korean company in the health and chemicals fields, for the production and marketing of PDO. 2015 : The licensing agreement with SK Chemicals is terminated, and METEX recovers all operating rights for PDO development. 2015 : The FDA gives its green light for the marketing in the United States of the first totally bio-based L-Methionine for animal feeds. METabolic EXplorer and UPM, a world leader in the wood and paper sector, conclude an agreement for the development of an MPG manufacturing process based on second-generation cellulosic sugars. An agreement is signed to carry out the EU-financed ‘Valchem’ demonstration programme. 2016 : Nutritional tests conducted on poultry show 35%-higher nutritional performance for L-Methionine than for petrochemical-based DL-Methionine. The launch of inoLa™ is announced, a unique, innovative additive for animal nutrition that is rich in totally natural L-Methionine. An agreement is signed with Technip, a leading global engineering firm, for the assessment of a joint PDO/PTT technology offer. METEX sells its L-Methionine technology portfolio, for €45 million, to the German chemicals company Evonik, a major producer of essential amino acids. Signature of an agreement with TOTAL Développement Régional for the construction of a PDO/BA production plant on the Carling Saint-Avold chemicals platform in Moselle (Greater East Region).